4th of July is no small event for Alturas, California ... the county seat for Modoc County. 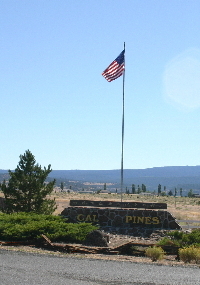 The fun starts in town and everyone ...we mean everyone in town heads out to California Pines to see the spectacular fire works presentation put on by the California Pines Property Owners Association. Come on out and be part of the celebration. Meet other property owners and visitors from all over the United States and abroad.